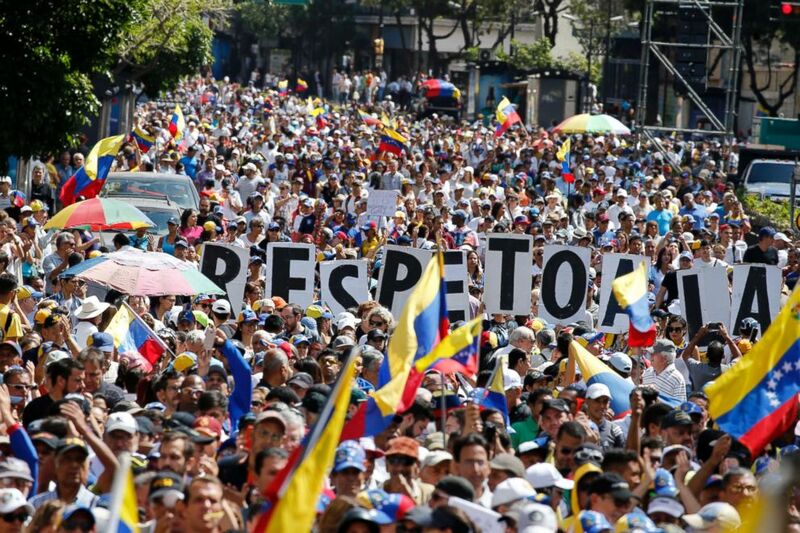 Venezuelan opposition leader Juan Guaido said Tuesday that he will authorize several tons of humanitarian aid to enter the country on Feb. 23, in defiance of the country’s sitting president, Nicolas Maduro. 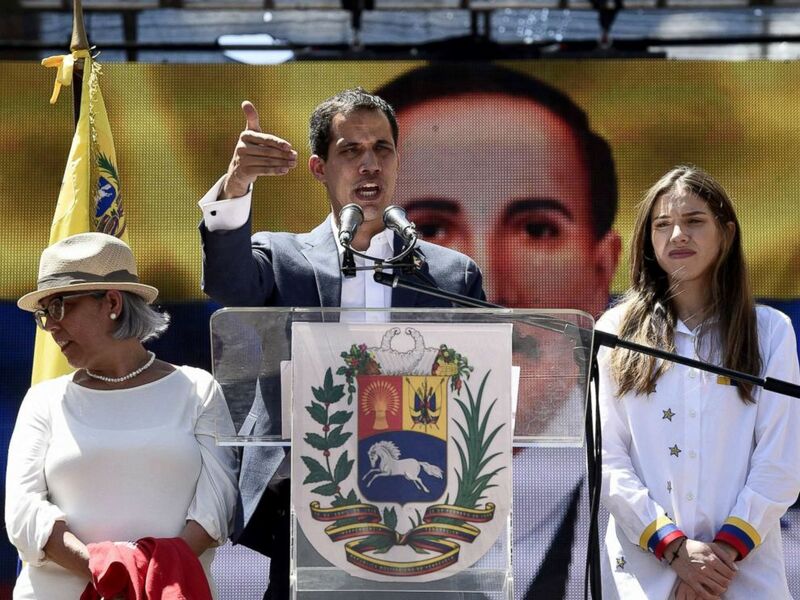 Venezuelan opposition leader and self declared acting president Juan Guaido, accompanied by his mother Norka Marquez, left, and wife Fabiana Rosales, speaks to supporters during a rally in Caracas, Feb. 12, 2019. 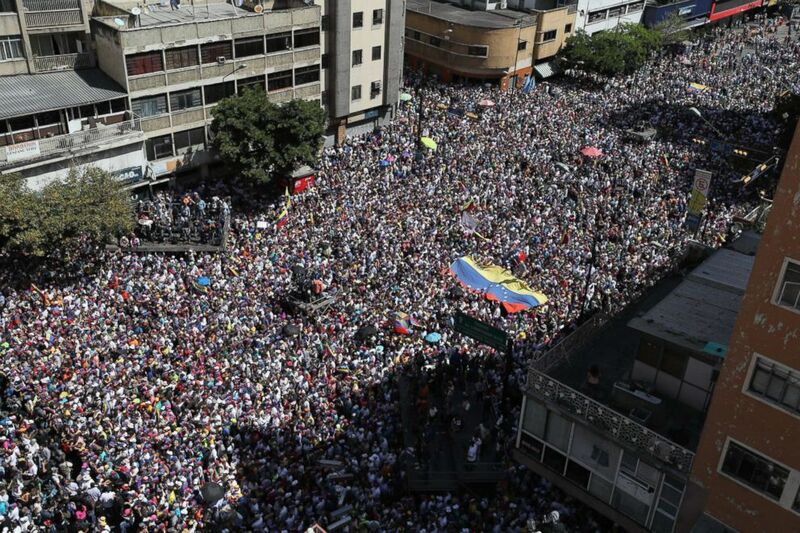 Hundreds of people march in Caracas, Venezuela, Feb. 12, 2019, in opposition to the government of President Maduro.